A monthly temperance periodical that published articles and news related to the temperance movement and temperance. The periodical was edited by D. Thomas. 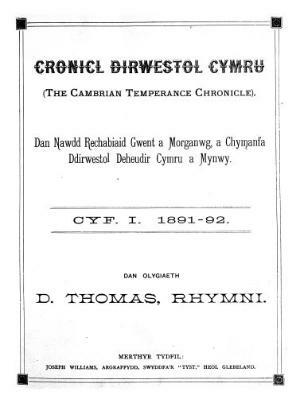 Originally a bilingual publication it became a Welsh language periodical in November 1891.